Once again I have fallen desperately behind in updating here, but at least I have a tiny excuse. I’ve actually been out *gasp* HAVING FUN! I can hardly believe it myself, seeing as how I can be a right shut-in most of the time. It’s been an amazing few weeks, and thankfully all this fun hasn’t been breaking the bank too badly. It’s astonishing what you can do when you make the plans in advance and stick to them. I just wish I could say the same about posting, but I’m just glad I’ve even been able to get pictures because all of my baked goods have been disappearing rather quickly as of late. 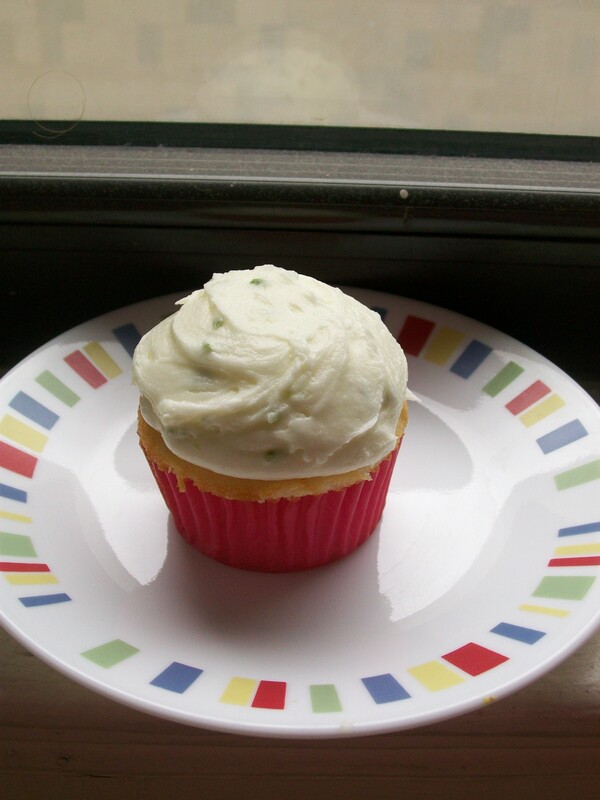 Three weeks ago for a 4th of July “celebration” I made the Margarita Cupcakes I found on Beantown Baker’s blog. 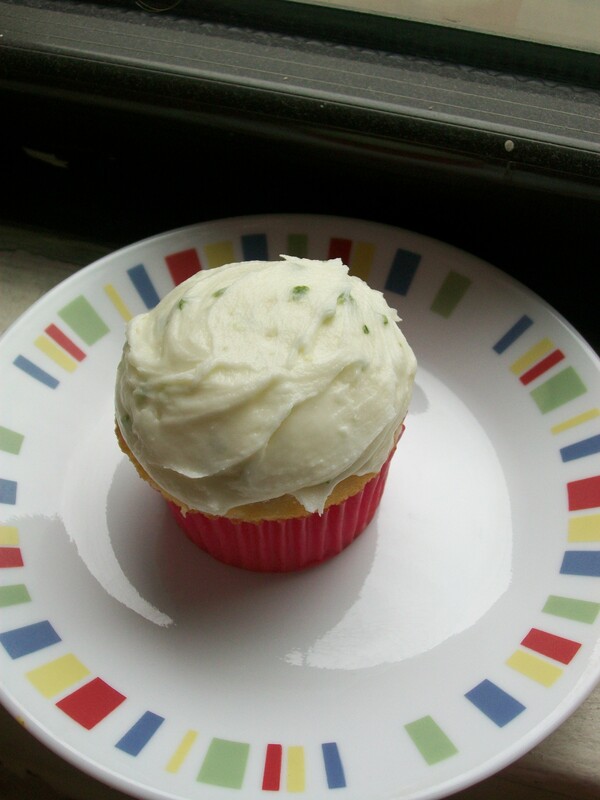 These cupcakes almost didn’t get made because I had no clue what I was doing when I was in the liquor store. It was an entirely new experience for me and not one I’d like to repeat any time in the near future, thank you very much. They came together and baked up quickly and with little hassle. If anything the longest process was zesting and juicing the limes. I slightly overestimated how many I would need for these cupcakes and the accompanying watermelon “margaritas” (don’t ask . . . it was bad), and as a result I still have four limes sitting in my fridge. 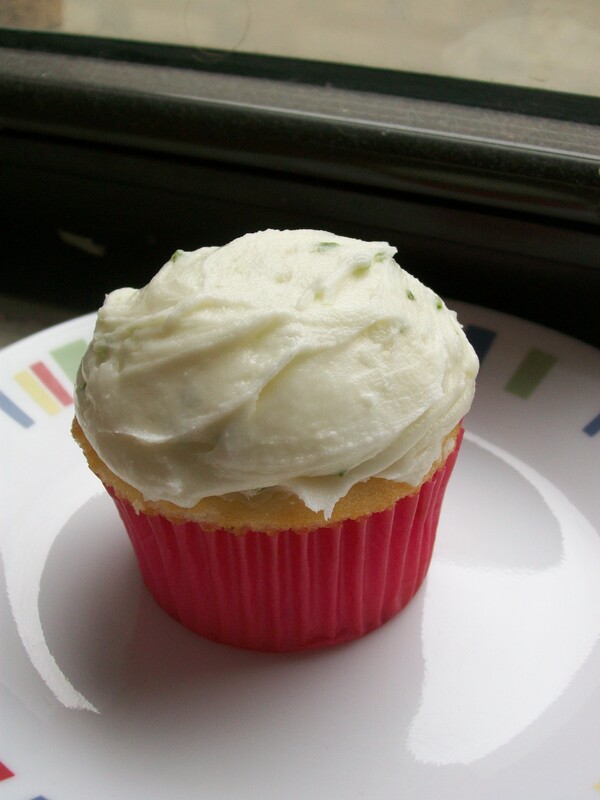 I liked these cupcakes without the added tequila. 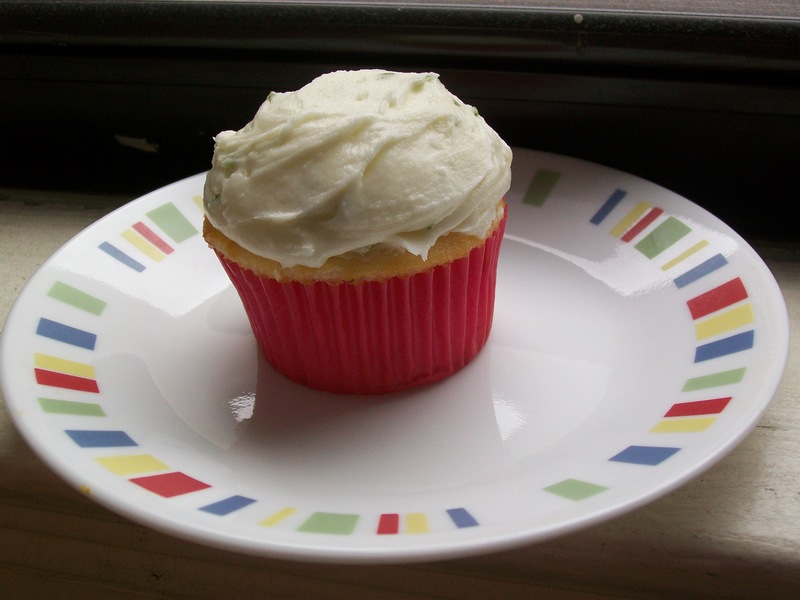 It turned out to be a really good lime cupcake with a nice crumb; it was sturdy and spongey. I’m definitely going to keep the plain base in mind for future white cake baking endeavors. Unfortunately for myself I couldn’t finish the remaining cupcakes so I sent them along with my suitemate so she could give them to some friends. While this was an enjoyable baking experience, I just don’t think alcoholic cupcakes will remain in my repertoire, not just because the alcohol is expensive (I’d MUCH rather spend that money on new pans or high-quality chocolate), but because after just one cupcake I had a raging headache. This happens every time I have the slightest bit of any sort of alcohol, and I think it’s stupid to put myself through hours of pain (even with Advil) to consume something I don’t even enjoy (even if it’s a part of something I enjoy). 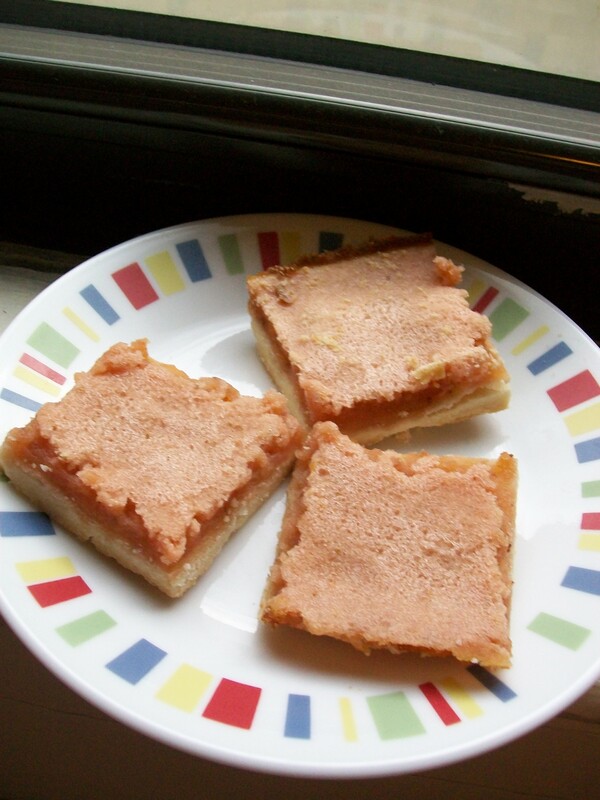 In other citrus news, I also recently made Strawberry Lemonade Bars from The Baker Chick. 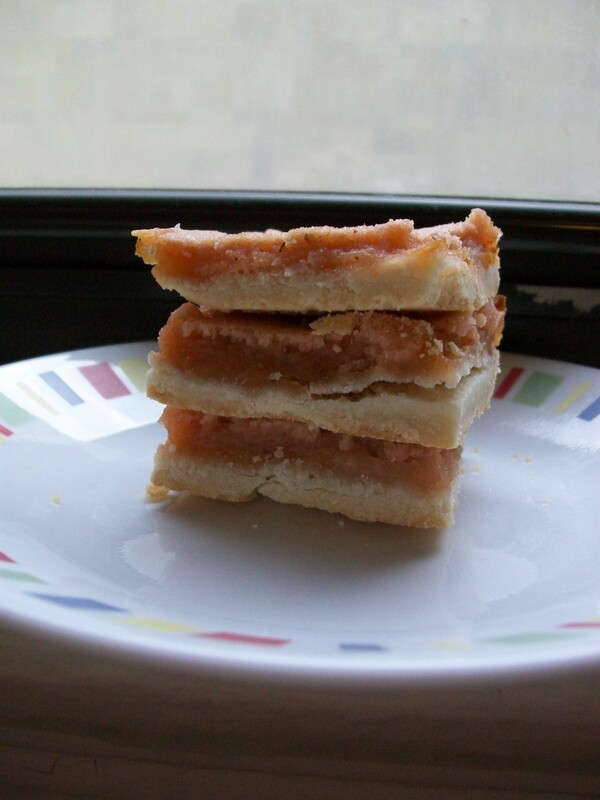 I loved this bar base, so if ever I made lemon bars again, I will definitely stick with it. Unlike other recipes I’ve tried, this bar didn’t even come close to sticking to the bottom of the pan–well, except for one bar, but I’m blaming that on the friend trying to get it out. I ended up adding way more than the 1/2 cup of pureed strawberry the recipe called for, and the strawberry flavor was still extremely faint, at least to me. The lemon still overpowered it, even though I added about a quarter cup less lemon juice than it called for. I’m not sure if the strawberry is meant to be overpowered and it’s just used for color, but I certainly expected some sort of strawberry flavor. All in all it was a good bar, but the recipe made so many that I only just finished off the last of them, even with a considerable bit of help from friends. Speaking of friends, two of us are seeing our first-ever GAELIC FOOTBALL GAME TOMORROW! We’re heading up to Gaelic Park in the Bronx to check out “Little Ireland”/Woodlawn and we’re going to catch a game while we’re up there. If only I had known about the league before this summer, I would have definitely gone to a game or two before this. Previous postHow Many Ways Can I Use Cinnamon? Next postAttack of the Chocolate Chip!